Is there a prerequisite required for being Raptured? 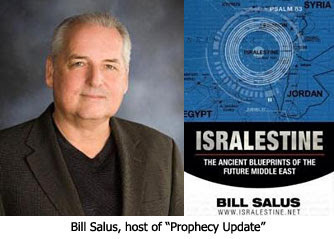 On the April 16th edition of the radio program Prophecy Update, I was interviewed by Bill Salus, author of the popular Psalm 83-themed book Isralestine and evangelist on the end times website Prophecy Depot. Bill and I spent much of the interview discussing how social media has made a huge shift in how we do online evangelism. We also touched on prophecies that mention the increase of knowledge in the last days which reveal that we are indeed very near the Rapture. Bill Salus: What is the prerequisite required for being Raptured? Is it having a personal relationship with Jesus Christ? Teaching about the Rapture is all about having people understand that Jesus is coming soon to whisk believers in Christ away to be with Him forever. Following that event is a terrible wrath that will decimate the population and destroy the ecosystem. Unbelieving loved ones, friends, associates, and neighbors that don't know Jesus right now are going to be left behind and experience that wrath, so they need to understand what not choosing Jesus results in. That's the burning concern that we've got for these unbelievers. Nathan, tell us about having a personal relationship with Jesus and getting to know Him while we still live on this earth, and of course the Rapture as the ultimate reward for our faith. How critical is it right now to accept Christ into one's life? Nathan Jones: The signs of the times point to the very soon return of the Lord. We don't know the day or the hour, but God did give us signs to look out for, and those signs would increase in frequency and intensity the closer He got. And, we are indeed witnessing the radical increase in frequency and intensity of these signs. We are seeing a radical ramping up of world politics surrounding Israel and a growing anti-Semitism against the Jews. Israel is in the land again, ready to go into the Tribulation so the Lord can winnow them and bring a remnant out that believes in Him as Savior. Since Israel's ready and the Church won't be here for that winnowing, then we can be sure the Rapture is even sooner than we think. It literally could occur at any minute now. Think of that — any minute! Lamb & Lion Ministries exists for the following example. Think of the cruise ship a few months ago that went down off the coast of Italy. Picture a staffer from the cruise desperately trying to grab as many people as he can and get them into a lifeboat and to safety. That's what I believe Bible prophecy ministries exist to do. We are here to try to grab as many people as possible and bring them to the Lord. Their only rescue from Hell is to give their lives to Jesus Christ, accepting Him as the Son of God and Savior and repenting of their sins. We help them get to that lifeboat of salvation before the ship of their life sinks. The world is about to sink. The Bible tells us it is about to sink. But, they have to make the decision to get in that boat and so be rescued, or not. When we give our lives over to Jesus Christ, we will then become part of what's called the Church. The Church is the believing "body" of Christ. Jesus promises that He will take those of us who are part of the Church out of this earth and bring us up to be with Him in Heaven, avoiding His wrath that will fall on the rest of the earth. For those left behind, though, there is a silver lining — a second hope — because the Bible in Revelation tells us that there will be multitudes of people — more than you could possibly count — that will come to accept Jesus as their Savior. They were too late in accepting Jesus before the Rapture and so have been left behind to endure this horrible coming time, but salvation is still available for the taking. I personally don't know why anyone would want to put off accepting Jesus as Savior now and so have to endure the 21 horrible judgments that are going to come during the Tribulation. Bill Salus: Yes, it's not a time to play "wait and see." Choosing Christ during the Tribulation at that time will be a highly unpopular choice and will probably come at the cost of a martyr's price. It will be unpopular because the world will be swayed according to the workings of Satan by all kinds of signs and powers and lying wonders, as 2 Thessalonians 2 warns. The unrighteous will be deceived to believe in the lie, whatever that will be. People will believe Satan's lie, which will be popular at that time, but it will blind many people into not accepting Christ. Fortunately, like you pointed out in Revelation 6 and 7 and elsewhere, we discover that many people will still make that choice to accept Jesus Christ, but again unfortunately it will be a costly decision, and yet they will certainly be blessed spiritually and eternally for making it. Bill Salus: Nathan, if someone wants to accept Jesus Christ as their Savior, do you have an ability to teach them how to do that or show them how to do that on your website there at lamblion.com? Nathan Jones: Dr. Reagan and I have made sure we've put the Gospel message pretty much in everything we have written and almost every video we have produced and posted to our website. Fortunately, the Gospel Message is a simple message really. You don't have to go through a long complicated ordeal. If someone wants to give their life to Jesus and so be saved, they just have to pray something from the heart like, "Dear, Jesus, please forgive me of my sins and be my Savior." It's no magic prayer, mind you. And, Jesus promises that He will in turn make them into a new creation. He will give them His Holy Spirit and they will walk in a relationship with Jesus for the rest of their lives throughout eternity. That's why the Gospel Message is called the "Good News." That's what "Gospel" means — Good News. The Good News is that Jesus has given us a way to be forgiven and to stand before the Father one day in a perfect relationship with Him. Jesus did all the work on the cross, and all we have to do is accept that gift of salvation. Jesus died on the cross in our place, and so by asking forgiveness of our sins and accepting Jesus as the Son of God and Savior then we are saved from the just punishment for our rebellious attitude which is Hell. That's all there is to it. No works involved. Bill Salus: The Gospel is the consummate message of love. Compare that to what the Muslim believes is their ticket to "Allah Land" — to Paradise — as they have to perform jihad and blow themselves up in the name of Allah as the only assurance of passage. Nathan Jones: That's why we're told in John 15:13, "Greater love has no one than this, that he lay down his life for his friends." This is the love Jesus demonstrated for us. He laid down His life for us. Jesus is the perfect, sinless person as well as a member of the godhead. And yet, He suffered and died in our place. What love! All we have to do is accept in repentance Jesus as the Son of God and Savior, and when God sees us He instead sees Jesus. He see us as pure before Him, instead of corrupted by our sins. Jesus is what bridges the gap between God and us. Not work. Not jihad. There is nothing you can do to get yourself to Heaven. Nothing! Jesus did all the work to achieve salvation. We just have to accept that gift. Bill Salus: As Ephesians 2:8-9 tells us, "For it is by grace you have been saved, through faith — and this not from yourselves, it is the gift of God — not by works, so that no one can boast." This is the key point of this passage — salvation is the gift of God. Salvation is not by our own works, least anyone should boast. But, salvation is a gift one has to receive. Like a present, you have to open it up. You have to receive the gift of salvation. That's a key point. Nathan Jones: It's like being out in the middle of the ocean swimming for your life. You have no boat or anything but your arms to swim and stay afloat. Excitedly, you see a boat on the horizon. You wave and wave and you call that boat over and finally the captain of that boat arrives to throw a life preserver out to you. You're saved only if you grab hold of that life preserver. A lot of people do that and are saved, but some amazingly push the life preserver away and demand something crazy like, "Don't you have a square one?" or "Do you have a blue one?" That's because many people want to be rescued on their own terms. But, that's the only life preserver the ship captain threw out, and if you don't grab it you are going to drown. That's why it's called "salvation," because you are being saved from your sin and its consequence of eternal death. We are saved from that punishment of Hell. We just have to grab the life preserver of Jesus Christ and hold on tight, for He's the only way to be saved from drowning to death in our sins. Bill Salus: We don't have to make the life preserver; we just have to grab it. Have you grabbed hold of Jesus? In the next part of this interview on advancing the Gospel through social media, Bill and I will discuss if 2012 will be a year of reckoning in the Middle East.